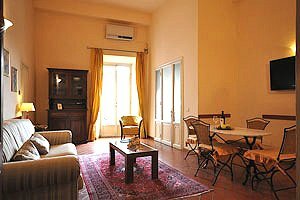 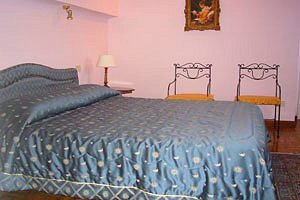 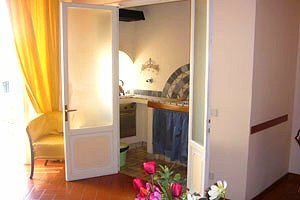 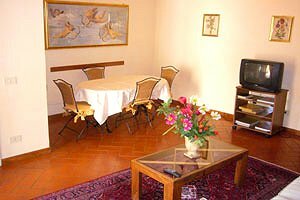 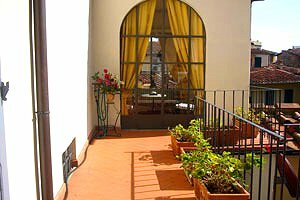 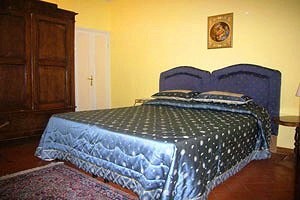 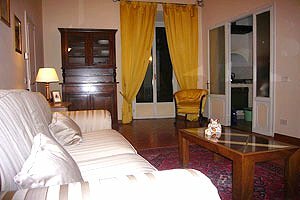 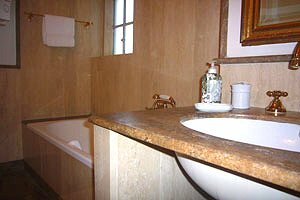 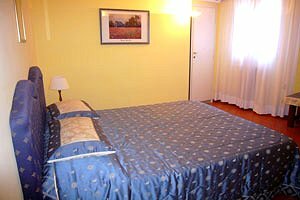 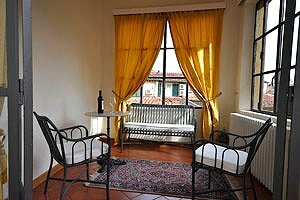 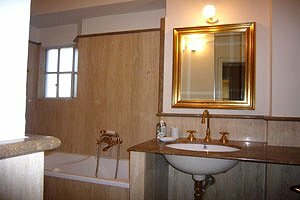 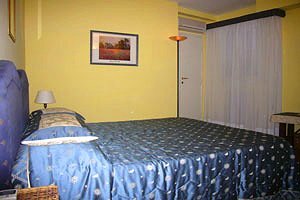 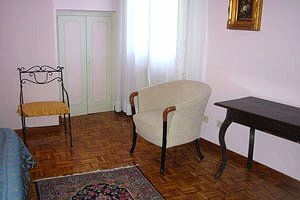 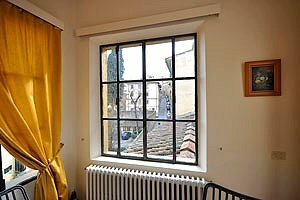 The apartment is located in the picturesque Oltrarno district, near Ponte Vecchio, Piazza della Signoria, the Uffizi Gallery and Palazzo Pitti. 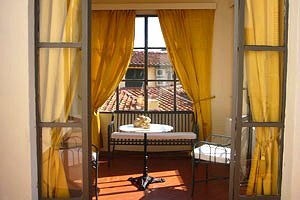 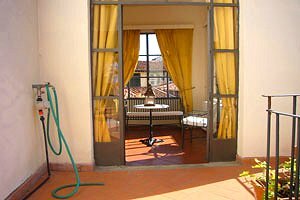 In proximity to the apartment is also Piazzale Michelangelo, which affords a wonderful view of the whole town of Florence. 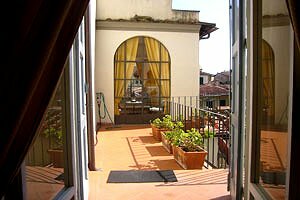 The apartment (sleeping 4+2 - 100 sq. 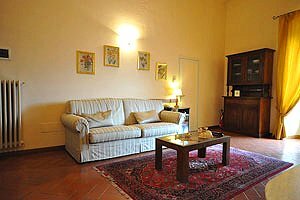 m. - 1 double bedroom, 1 twin bedroom, 1 double sofa bed and 2 bathrooms) offers on the lower lever a living room with a double sofa bed, the kitchen, a double bedroom and a bathroom with shower; on the upper level are a twin bedroom and a bathroom with shower. 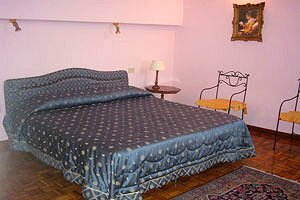 The rooms are elegantly furnished. 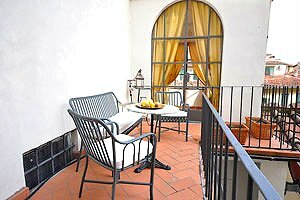 The apartment comes with balcony, Wi-Fi Internet connection, TV set, independent heating system, air conditioning, washing machine, oven, fridge, hair-dryer and ironing set. 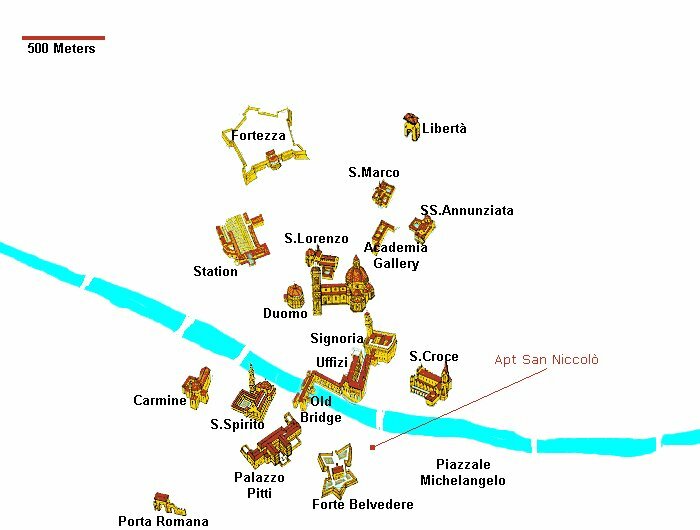 Restaurants, cafés, chemists`, a post office, banks and shops of any kind are easily reached on foot.